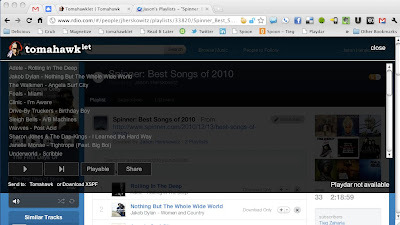 Social Media Player Tomahawk 0.3 has been released with some great new features. 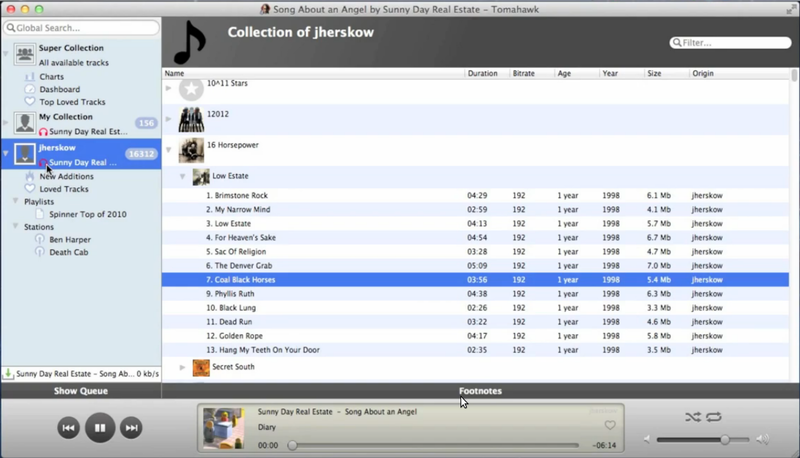 Tomahawk is a cross-platform and open-source social media player where you can connect to your other machines and friends via Jabber, Google Chat and Twitter and browse and play their libraries, playlists and stations. But these are not the only features, there are many more which you can which can discover while using the media player. Tomahawk also supports an extension system called 'Resolvers' to add more functionality. Album and Artist pages - discography, bios, tracks, etc. 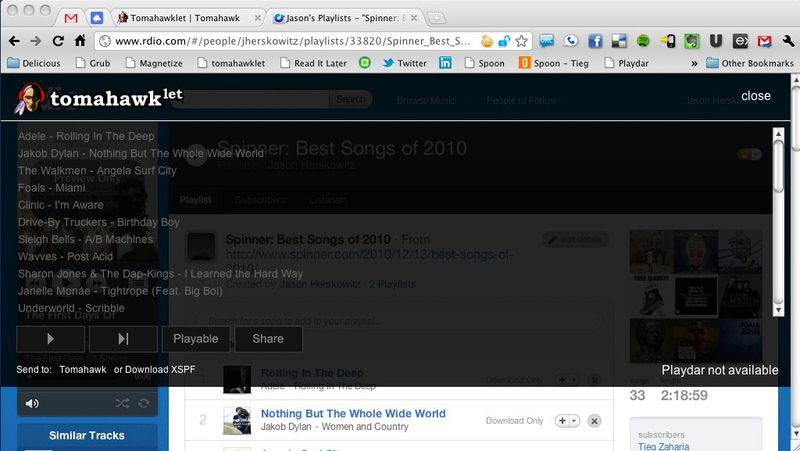 Tomahawklet is a bookmarklet that scrapes playlist metadata from a number of websites and, thanks to Tomahawk, lets you listen right there in-page. If it's a keeper, a simple click of "send to Tomahawk" sends them right into the app so it's always at your fingers. Watch Tomahawklet in action in this video. You can download Tomahawk beta from here, but unfortunately only Mac and Windows builds are available at the moment (kill me?). However, Linux builds will be available as soon as possible. We will keep you posted.